This page is the one-stop-shop for everything you need to know to get rid of bed bugs for good. It’s a big post, but I guarantee you’ll come away feeling confident from all the knowledge you’ve gained. With so many people and products claiming to be the best or only way to get rid of bed bugs, this page’s goal is lay a clear and certain path so you can make the right choices for your home and your budget. A good plan will be the difference between getting rid of bed bugs and failure. We’re going to go through the entire process right here. You will come away with a complete plan developed by professionals, several free printable resources, and will know the best step to take next. If you’ve hired a professional, ask them before doing anything on top of their treatment! 12 Can you Starve Bed Bugs? Before we dig in, I need to urge you to be completely sure that you actually have bed bugs. There’s a lot of attention on them these days. It has led to an increase in people with mystery bites running out to the store for whatever “bed bug” product they can find without making sure they have them in the first place. This is one of the greatest mistakes you can make. Trying to kill bed bugs without a plan has the potential to turn a manageable problem into a huge, complicated, and expensive one. If you don’t have bed bugs, you’ve just exposed yourself to chemicals that aren’t formulated to kill the pest you do have. If you do have bed bugs and use, for example, a commonly available bed bug fogger, all you’ll get is bed bugs diving deep into your home’s foundation to avoid the fog. This significantly complicates treatment. I do not want you to waste time or money, please take the time and be sure. There are a wealth of resources on this site to help you find and identify bed bugs. The bed bugs pictures page has over 60 pictures of bed bugs at all stages and in all sorts of hiding places. It will give you a complete understanding of what they look like at all stages of life. I recommend taking a look when you aren’t eating though. Our page on bed bug signs and symptoms goes in-depth on the different stages of infestations, where they often hide, and what signs they leave behind. Also consider that other bugs and environmental circumstances can produce symptoms similar to those you’d have with bed bugs. You can read about lookalikes and see picture examples here. Once you’re positive that you do, in fact, have bed bugs, our next mission will be to put together a plan to not only get rid of them, but to get rid of them for good. I advocate using the same methodology professional pest control operators (PCOs) use. Any operator worth their salt will tell you about their IPM, or Integrated Pest Management plan. We are going to take advantage of the exact same ideas. IPM is a deliberate approach to utilizing several products that succeed in specific roles in order to create a result greater than its parts. We’ll get into details in the next section. Taking the time to plan an IPM before treatment is the most important step towards getting rid of bed bugs. An added benefit of making your own plan is the chance to choose pesticides and products that you are comfortable exposing yourself to. You also have get to apply them carefully, as if you lived there. The next section features a comprehensive worksheet that will help you plan and keep track of the various elements of your own IPM once you choose them. A complete IPM should include all of the 4 product types. They each have a specific role in getting rid of bed bugs and keeping them away for good. Executing anything less than a complete plan drags out the problem, making it more expensive and complicated in the long run. If you’re interested in seeing sample IPM plans, I’ve created a series of examples below. Each category of product has its own dedicated page that includes specific product recommendations, reviews, as well as usage tips. The Bed Bug Tools page serves as a hub for them all. The dangers of inhaling abrasive dusts and pesticides are well documented, which is why professionals are required to wear protective gear. Please don’t consider yourself the exception and wear pesticide protection. Cleaning first gives you a chance to remove random clutter on the ground before applying residual chemicals. After applying residuals, you can then use contact killers on clusters knowing that runaway bugs will get coated in the residual chemicals you already put down. Finally, after treating your mattress, you can then install encasements and monitors at the same time. Reapplication of residual and contact products should happen when the manufacturers recommends it. All 5 steps should be executed in one sitting. It is also completely fine to install bed encasements without treating your bed first. Encasements are designed to completely stop bed bugs from getting in OR out. Most people I’ve spoken with simply feel better killing the bugs that they can before sealing it up. In the following sections we’ll get into the specifics of how to complete each steps. We designed the Debedbug IPM planner with everything we’ve gone over about in mind. I’ve included it here for free so that you can easily record your plan and keep track of progress. This worksheet will help you keep track of all the arms of your IPM – you already have enough going on after all. We have done a lot of research and have compiled the best options available in each of the categories. All of our pages on bed bug tools feature comparison charts, reviews, and recommendations to help you quickly choose the products that are right for your situation and budget. If you’d like the rest of the worksheets and planners we’ve developed right away and for free, check out the ebook. In addition to five printables, the ebook also includes a lot of information in a neat and skimmable package. Maintaining a clutter-free home helps eliminate potential hiding places and cuts down on the time it takes to completely check a room. You can bump neatness up to another level by placing treated items into airtight bags and plastic crates. Doing so will help you take control of your home piece-by-piece. In some cases, discarding heavily infested items that are especially hard to clean is simply practical. Doing so may save you the grief of having another infestation appear out of that plush loveseat you couldn’t give up. Before you toss anything out, mark it as infested and dispose of it in a furniture storage or disposal bag! Tossing a couch out on the street only to have it picked up and brought back in by a neighboring apartment would spread the problem and be tragic for everyone involved. Floorboards, baseboards, closets, carpets, furniture, mattresses, and spring boxes are all reasonably easy-to-reach hotspots that benefit from vacuuming. Using a hose attachment without bristles will get you the best results when it comes to the nooks and crannies on furniture or the spaces between walls and baseboards. Be sure to empty your canister immediately into a sealable plastic bag to be discarded outside. Reapply residual powders after vacuuming if you’ve already gone that route. Dressers and desks are another common hiding place for bed bugs as they typically live near where you sleep. They love any spot that’s tucked away, dark, and close to you. Be sure to remove drawers and check inside railings as tight spaces are where they are most likely to be hiding. Check under all furniture and in the space between wall and carpet if relevant. I would also recommend installing monitors under the legs of any furniture near your bed. Anything that has a bed bug monitor on its legs should not touch any wall as bed bugs have no problems climbing. Bed bugs will make a beeline for cold spots to avoid heat death whenever possible. To treat clothes, put already dry items into a dryer and tumble on high for 20 to 30 minutes. Clothing should reach 120˚F throughout. 120˚F will kill adult bed bugs quickly; more time at temperature helps guarantee the saturation of cold spots and the destruction of eggs, which are more hardy than adults. Extra attention should be paid to denser and larger items such as comforters and pillows. These items are inherently harder to cleanse due to their bulk and insulating properties. It takes more for them to reach 120˚F throughout. Should you have delicate clothing that could be damaged, studies and experiments have shown that drying clothes at 120˚F for 5 minutes typically will do the trick, although it’s better to be safe than sorry. Alternatively, consider a bed bug heater for such items as they won’t be violently tumbled and can be processed conveniently. Look for tags marking clothing as “dry-clean only.” This indicates that your dryer’s high setting should not harm the article. If you’re uncomfortable with the idea of drying without a wash cycle, it is fine to wash clothes after the drying cycle is completed. The goal is to reach 120˚F throughout. It is much easier to achieve that temperature in dry clothes compared to sopping wet. Dry cleaners are another option to consider. You should be honest and consider calling prior to bringing clothes to a cleaner to make sure they will take your business. Some will, while others will decide that it is not worth the risk. Be sure to bring goods in airtight bags to avoid contaminating the facility. Keep in mind that dry cleaners do not provide guarantees of bed bug extermination. When treating bed bugs, it is important to avoid transferring them throughout your house and into other environments. Showering after spending time in bed or on soft furniture is a good idea, if not slightly excessive. Keeping clean clothes sealed away in airtight bug-proof containers is essential. You can use large Ziploc bags for this purpose. Two-gallon bags are good for separating clothing by category, while XL and XXL variants can help store more in one place. Placing an XXXL Ziploc or similar sealable bag in a hamper to be kept shut is a good way to consistently isolate clothes that needs to be cleaned. You are the primary vector of bed bugs in your home, keeping clean clothing distinct and uncontaminated is a big part of treating bed bugs. Objects that might be infected such as backpacks, plush toys, or shoes are a few things that also fit in the dryer. For sensitive items that you might not want to tumble aggressively, a home bed bug heater offer an alternative that is non-damaging and completely effective. More on heaters below. Take your time and look for cracks and crevices in floors and along walls. Spots where wires and pipes come through are prime hiding real estate. Sealing those spaces cuts of another point of entry and eliminates another hiding place. Utilizing potent chemicals cocktails that target a variety of bed bug vitals, modern residuals last for months at a time and are designed to bypass chemical resistances. 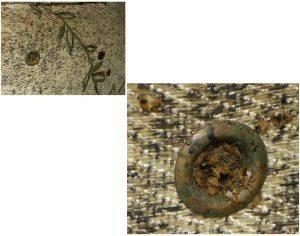 Modern residuals can even be passed from bug-to-bug and are very effective when a thin layer is applied to the surface of a bed bug hotspot. When applied correctly, residuals are an invaluable and affordable resource in the bed bug fighting toolkit that will ward off other bugs as a happy side-effect. Your goal when applying a residual bed bug killing product is to make it impossible for them have a meal without covering themselves in a film of liquid or powdered death. This is done by strategically applying products where bed bugs like to hide. The bed bug pictures page will give you examples of what to look for so you can apply your residuals as effectively as possible. By purposefully applying a field of residual spray, you have the potential to protect yourself for years without any added work. There are several natural solutions that also work very, well. Residual sprays are effective at any point in an infestation. The most popular bed bug powders on the market happen to be natural desiccants. You’ve probably encountered desiccants in one form or another in the wild. The little packet of silica beads found in some snacks is one example of them working their dehydrating magic. 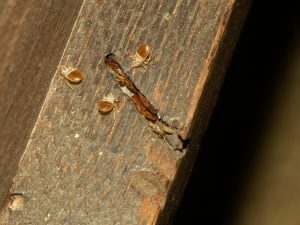 When it comes to pest control, desiccants are used in their powder form and function by removing the waxy protective layer surrounding insect exoskeletons before dehydrating them to death. The natural desiccants below do this without synthetic chemicals. If you’d like to learn about chemical bed bug powders, which have the benefit of killing bed bugs faster, check out the section on them at this link. The two most popular desiccant powders today are food-grade diatomaceous earth and amorphous silica gel. You should avoid DE that is not food grade or freshwater. Non-food grade/freshwater powders have been linked to silicosis and lung cancer in cases of heavy and frequent exposure. Recent studies involving DE have shown it to be sometimes ineffective against bed bugs due to adaptation and growing resistance when compared to amorphous silica gel. The most popular manufacturer of amorphous silica at the moment is CimeXa. It is specifically formulated to kill bed bugs. Research indicates that amorphous silica is safer, kills three times faster than DE, and is longer lasting to boot. Studies further claim that a single application of the stuff can last up to 10 years, providing a great passive barrier which will protect you for a decade if applied correctly and left undisturbed. 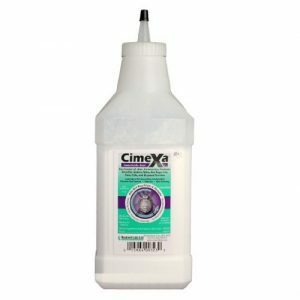 Doing a good job of applying CimeXa once could take you very far in protecting yourself in the long and short run. To apply DE or amorphous silica, in descending order of ease, a handheld duster, dedicated fine brush, or a regular paintbrush will do the job in a pinch. A thin layer that bed bugs have no problem walking through is ideal. If they have to wade through the stuff, they will choose to walk around the heaps and mounds instead. Target all possible areas of bed bug transit, with special focus on hiding spots like cracks and crevices along walls and around your bed where you don’t walk. The great advantage of using residual methods is the ability to corner bed bugs passively once applied. By concentrating on these areas, you will be putting yourself in the best position to succeed. Make exposure to residuals inevitable for bed bugs on their way to bite you and they will get rid of themselves. You should absolutely be wearing a respirator when applying any powder. All powders can pose serious health hazards when inhaled, even natural ones. To read an in-depth reviews of several bed bug powders, visit this page dedicated to them. Contact killers, often found in the form of bed bug sprays, are especially useful in cases of advanced infestations. Contact sprays are the best ways to do fast, significant damage to advanced infestations. Applying contact sprays helps kill lots of bed bugs at once, helping you put their numbers in check. Contact sprays do require direct contact to be effective, meaning that there must be a heavy enough infestation that you can find them – you have to get face-to-face. Alcohol and soap sprays are popular DIY spray solutions, but are only somewhat effective and do not destroy eggs. Eggs are the most troubling stage of bed bug. They are hard to find and are resilient against several methods of control. Learn to identify them at the page following this link. Extra care should be taken when spraying with alcohol as at high concentrations the spray is flammable and makes anything it contacts similarly combustible. There are already too many documented cases of people using DIY sprays and lighting their houses on fire by later trying to use DIY heaters on an alcohol-soaked home. We will go over heaters in the next section. Currently, there is no safe and common household product that reliably kills bed bugs at all of their life stages. Alcohol and windex are no substitute for purpose-made chemicals that shut down bed bug motor functions. Natural contact killers are typically at least 90% rubbing alcohol by concentration. Other ingredients include enzyme cleaners, low toxicity compounds such as pyrethrins (in the cases of JT Eaton and Steri-Fab), and sometimes generic soap. EcoRaider and Bed Bug Patrol are two recently developed oil-based contact killers that have shown a lot of promise. I’ve reviewed both of them on the page dedicated to sprays. For in-depth reviews and the details regarding where and how to administer bed bug sprays, give the page dedicated to the topic a visit. Note that none of the sprays listed in this section on contact killers have lasting residual effects once dry. A residual does the important job of maintaining a bed bug killing field between applications of contact sprays. A combination of periodically applied sprays and a residual killer such as a bed bug powders, will make a big difference. Heat is one of the most well-documented, effective, and popular methods of getting rid of bed bugs. Expose bed bugs to temperatures at or above 120˚F for 5 minutes and you will kill them. Achieving that in a dryer is safe and completely normal…danger arises when people start trying to heat treat their entire apartments or homes in creative ways. Just this year, I’ve read stories of people causing fires by cranking up heaters as high they’ll go, opening ovens and blasting them on high, and even using an array of heat lamps to try and bring their homes up to lethal temperatures. Large format heat treatment is best left to professionals with commercial heating units designed for the job. Hack job attempts are dangerous and are likely to heat up too slowly anyways, giving bed bugs the time to easily burrow deeper into your home’s foundation making things much, much worse. On the other hand, there are plenty of professionally designed bed bug heaters meant to treat small and large loads both conveniently and quickly. These personal heaters are perfect for things you can’t tumble in a dryer and are both affordable and foolproof. Most importantly, they cut out the chances of burning everything down. A heater is worth many times its value if used diligently. I personally own a ThermalStrike Ranger that I use on all my suitcases. It’s the first thing I do whenever I get back from traveling domestically or internationally. Seeing as travel is the number one way to get bed bugs, doing this significantly cuts my chances of bringing them home. This post will help you decide if a personal bed bug heater is right for you. It’ll also show you how to most effectively use one and also features reviews of the most well designed and popular brands available today at several different price points. I’ve also created a few comparative charts to make choosing a heater simple and quick. Read more by clicking on the image, name, or link at the bottom of each column of the chart below. During my own infestation and in doing research, I considered and looked into DIY heater setups. With certified and professionally designed products being so affordable, I came to realize that I would end up spend $50-80 less for a rig that wasn’t certified or assembled to code and was a huge hassle to setup and pack away. Convenience and usability are important aspects of heaters to me. The peace of mind I get from tossing my luggage into my heater, pressing a button, and coming back an hour later is easily worth the cost after experiencing an infestation. In the big picture, it is obviously not worth gambling your home on DIY solutions…especially when there’s no guarantee of success anyways. Should a heater seem excessive to you, rest easy knowing that there are plenty of other contact killing methods with lower costs such as sprays and steamers. Recently, we have been hearing more about the potential of killing bed bugs with cold temperatures. It’s easy to like the sound of it – everyone has a freezer after all. I have seen recommendations to simply toss whatever you’d like into the freezer or even into an especially big pile of snow overnight. Unfortunately, snow will not do the job. Bed bugs are perfectly capable of surviving in temperatures below 0˚F for several days. Freezers, however, have been verified as a usable option by studies from several universities. Killing bed bugs this way is pretty straightforward. Your freezer needs to reach between -4˚F to -5˚F, or -15˚C to -20˚C. Seal infested items in a plastic bag before leaving them in the freezer for at least 80 hours. Even if your freezer is capable of reaching those temperatures, it will take several days to kill bed bugs in all their stages. Eggs are more resilient than adult. Do not open the freezer to check on your items during treatment. You will lose a lot of progress and should tack on another day to be safe if you must open it. Your freezer is especially useful when it comes to items that can’t be treated with heat. If you do opt to treat some items with this method, consider doing a decent amount of stuff in one go since you’ll be investing the time. Keep in mind that such low temperatures can damage sensitive items like artwork and many electronics. Look up manufacturer recommendations online before freezing items. Reaching temperatures of over 200˚F, steam cleaners are an affordable and highly effective way to kill bed bugs on contact. Choosing a steam cleaner for our bed bug killing purposes is different from picking one for other at-home tasks. Because the unit will be used to treat everything from furniture to baseboards and walls, it is important to select a steamer that cuts down on moisture. Steam Time 40 min. 60 min. >60 min. Purchasing a steamer with labels stating “dry vapor” will significantly cut down on potential mold issues. Dry vapor, or dry steam, refers to the steam produced by a unit which utilizes a mechanism that raises nozzle temperatures while also using less moisture with the help of pressure. For a more detailed look at bed bug steamers, you can read the post dedicated to helping you choose one! Nozzle temperature is most important. Look for specifications of at least 200˚F at the tip. Anything less and you may just spread them around. While treating with steam seems like a straightforward procedure on the surface, there is definitely a learning curve to doing an effective and safe job. The post on steam cleaners has all of the nitty gritty details you’ll need to steam like a pro without damaging your home, I highly recommend giving it a read before starting any deep cleaning action. Always be aware when using a steamer, the hot steam can hurt you too. Keep in mind that as a contact killer, bed bugs already dug deep into furniture and walls will be safe from your steaming efforts. This is why you should be using a residual killer like diatomaceous earth or CimeXa in conjunction with steam to make a lasting impression on bed bug populations. Stopping bed bugs from getting on your bed is discussed at length in this linked section on the prevention page. The same steps will be briefly covered here for your convenience. I do recommend reading the prevention page in its entirety as it will be a big help in avoiding future infestations specifically. If you do not have bedposts, try placing your bed on plastic bins with the smoothest sides you can find. Alternatively, sticking smooth one-sided tape all around your box spring may somewhat discourage climbing. Here’s a supplemental Bed Bug Proof Bed printable that you can download and print to help you through each step so you don’t miss anything. As mentioned under the IPM Planner, there are several more printables you can nab for free in the ebook. It was written with one goal in mind: for it to be the only resource you need to get rid of bed bugs and take control. We’ve done the research and written an extensive post on the best mattress encasements. There are a lot of options to wade through, this guide will make it easier to focus on the best. Below is a mattress encasement comparison chart – you can see the rest that cover box spring and pillow encasements in the full encasements post. Making your bed a sanctuary is good for sleep and bad for bed bugs. Encasements will help slow down bites at the very least and might even stop an infestation if you was caught early. You should immediately install a set of passive bed bug traps once your bed encasements have been set up. Interceptor traps an work by intercepting and trapping any bugs trying to climb up the feet of your bed or furniture. Traps help you find bed bugs in the first place if you’re having trouble finding them manually. Any way to make the process easier is a win. They also conveniently serve as monitors since starving bugs trying to get on your bed get caught, making them easy to count. You will know you’ve gotten rid of bed bugs officially when nothing shows up for a few weeks. Installing traps when you put your encasements on will turn your bed into a safe haven. Speaking from experience, the time between ordering and receiving bed bug killing supplies can be torture. Tape helped ease my mind a little while I waited for the shipment. Applying a smooth-sided tape around bed and furniture legs will do a little to stop bed bugs from climbing up to you. It may take some luck, but determined bugs will eventually get through. Tape won’t replace slick, modern interceptors, but everyone has tape. Using a little certainly won’t make things worse. Tape can also be used to collect and examine samples. It’s very convenient when trying to make sure you actually have bed bugs seeing as you can compare what your sample with pictures online without blurry pixels. A respirator and goggles are worth their weight in gold. Being stuck indoors with pesticides hanging in the air is not good for you, period. Whether you are applying sprays and powders, or steaming your couch that had powder applied previously, there’s no holding your breath to escape airborne particulates. When applying any spray, powder, and pesticides in general, it is best to be wearing both a respirator and goggles. Powders and dusts will float in the air during and after application. The following combinations were carefully considered and will work well for many. You will get more reliable and faster results by opting for higher quality products. I recommend first prioritizing bed protection and residual bed bug killers if they are within your budget. Don’t feel a need to spring for the very best of everything. Several plans recommend steamers as the primary contact killer because using one will allow you to skip out on contact killing chemicals. You will still need to use residuals for reliable results. The tools page will help you choose between products if you’re still uncertain or want to get the full scope of what’s available. Can you Starve Bed Bugs? I don’t recommend trying to starve bed bugs because they can survive for over a year. There are a few cases where starving them out does make sense though. For example, I read about someone interested in saving several thousands of dollars’ worth of art magazines. The magazines were dense and would have likely been damaged if treated using heat or freezing. 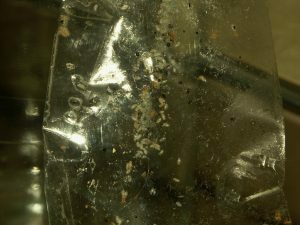 If you decide to try and starve bed bugs, the recommendation is to put what you’re trying to save in an airtight plastic bag, seal it, and keep it in undisturbed for at least 400 days. Sensitive electronics, books, and embroidery could all potentially be saved this way with a little patience. If you have additional suggestions that I missed, please leave them in the comments! Self-treatment requires consistent work and constant mindfulness. One slip-up and you could be set back weeks. I wish you the best should you be embarking on the self-prescribed route of treatment, but do encourage consulting a few PCOs to get an idea of what you could pay for a guaranteed treatment of bed bugs in installments. Besides not wearing pesticide protection, there are other health-risks involved with getting rid of bed bugs. Do not go to your local hardware store for bug bombs and foggers. These products are marketed towards bed bug victims but actually scare bugs deep into your foundation or into neighboring units. They will come back once the gas dissipates. Do not sleep anywhere but your own bed even once you confirm bed bugs. They have evolved to detect human breath and will follow you. Sleeping on the couch is the best way to get bed bugs in your living room. Do not spray generic insecticides and chemicals without understanding their contents. These sprays are typically ineffective towards hardy bed bugs. Do not use kerosene as a contact killer. Kerosene is extremely flammable and isn’t 100% effective. It’s a terrible, dangerous idea. Do not throw away your bed and furniture immediately. Assess the problem and consider using steam and encasements. Furniture should be properly marked and disposed of if it does come to that. Do not waste money on most “all natural” bed bug sprays. Sprays containing lavender, peppermint, and tea tree oil may be natural, but they are not legally required to provide results. Most have been shown to be ineffective in lab studies with the exception of these two well-studied products. Do not attempt large-scale heat treatment yourself. Small-scale treatment using proven technology like the ZappBug is the safest way heat treat your stuff. Do not try to starve out your infestation without being ready to commit to at least 400 days of isolating them. It’s important to understand that many professionals consider bed bugs one of the most difficult pests to get rid of. It is critically important that you reapply when needed and not get complacent. Staying on top of your plan and being consistent is the best way to get rid of bed bugs! The IPM Planner worksheet will help you do just that. In many cases, it is more affordable to go the DIY approach even considering the cost of heaters and steamers. Now that you’ve gone through this page, you can feel confident enough to get started today. After formulating a plan, the next most important determiner of success is proper application of products. I recommend going through posts from the tools page to better understand how to choose and use each element of your bed bug killing arsenal. If you think that I’ve missed anything, please leave a comment below and I will do my best to update the guide and respond. Getting Rid Of Bed Bugs Quickly And Permanently Takes Smart Planning. Your Guide To Obliterating Bed Bugs Is A Tap Away.